Were you harassed, denied wages, misclassified, retaliated against, or wrongfully terminated? Did you work overtime and your boss failed to pay? If so, employment lawyer Branigan Robertson would like to hear from you. He represents clients in San Juan Capistrano and throughout Southern California. When an adverse employment action is taken against you the statute of limitations begins to run and could jeopardize your whole case if you don’t act fast. Contact our labor lawyer to understand your legal options and secure your entitlement to money damages. Branigan Robertson has experience handling a variety of employment claims and lawsuits. He now primarily represents unpaid and harassed clients in lawsuits against their employer. His professional efforts have exclusively focused on representing employees in workplace disputes. At Branigan Robertson, we aggressively protect the rights of employees throughout California. Because of our reputation for honest advocacy most of our clients come to us as referrals from other lawyers. 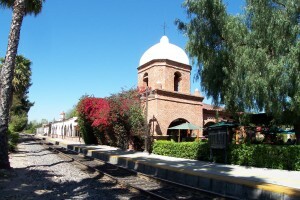 Mr. Robertson’s office is located in Orange County, and he takes cases in San Juan Capistrano. When you call our office there is no fee or obligation. We understand that people having work problems generally can’t pay a lawyer $350 for an hour of time. We work on a contingency fee. A contingency fee is where the fee is payable to the law firm only if there is a favorable result. In the law, it is defined as a “fee charged for a lawyer’s services only if the lawsuit is successful or is favorably settled out of court.” Contingency fees are usually calculated as a percentage of the client’s net recovery. Let us help you with your case. Call us or use our online contact form to get in touch with an attorney taking cases in San Juan Capistrano. We provide services throughout Orange County and California.